We make decisions every day, some very important and others less so. They range from what to have for lunch or how to spend your weekend to leaving your job or having a child. It’s surprising, then, how little attention we pay to one of decision-making’s biggest variables: our own emotions. We may not notice it at the time, but how we feel has a big impact on the decisions we make. So, how do we find a level of personal consistency, where we never look back and cringe at our choices? 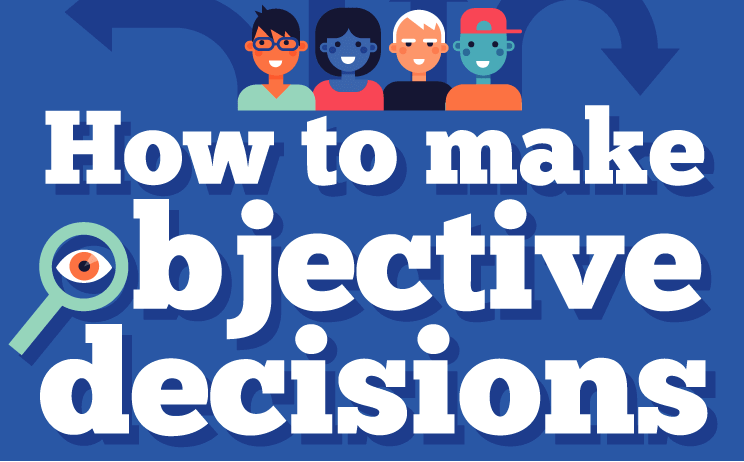 The key is to develop our powers of objective decision-making. Like any piece of seemingly simple advice, this is easier said than done. Consistently making non-emotional and rational choices takes a lot of practice and self-reflection. It will be worth it however, as harnessing the power of objective decision-making can have huge positive effects. The first step is recognizing your current emotional state and how this could possibly affect the choice you are about to make. Studies show that stock markets are higher when the sun shines in the morning and that people make irrational decisions when fearful. Emotions are not always the enemy but they can make you do things you mightn’t otherwise do if you were at your general emotional baseline. Once you are in a mental space where you know if you are angry, fearful or happy there are several positive actions you can take to lessen the impact these emotions have. Our helpful tips will give you the tools you need to keep your emotions in check while you decide what’s going to happen next. Finding the right structured process to evaluate a decision or even just taking some time to allow the intensity of an emotion to subside is a move in the right direction. Learning to do these things on a regular basis can free us from the tight grip our emotions hold on our behavior.